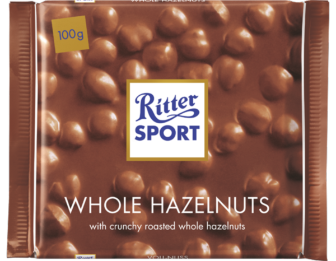 Crunchy roasted hazelnuts in milk chocolate make RITTER SPORT Whole Hazelnuts the absolute favourite in our range. Is it the extra-high quality standards we set for our nuts? Or simply that they hit the spot for anyone with real bite?